Providing you the best range of big bag packaging systems, jumbo bag packaging machine, semi automatic bag packaging machine and valve bag packaging machine with effective & timely delivery. 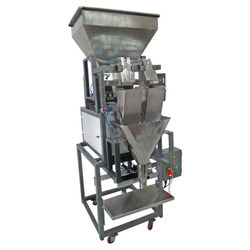 The Sigma Jumbo Bag Packaging Machine is high accuracy gravimetric filling equipment. 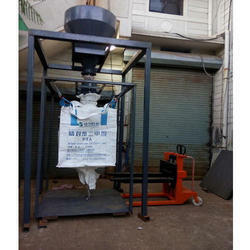 A weighing frame is provided at the floor level for placing the empty bag. The weighing frame rests on high accuracy load sensors. There is a frame with 4 bag holders provided on a structure. The bag is hung on this holder and the mouth of the bag is then clamped to the filling head. 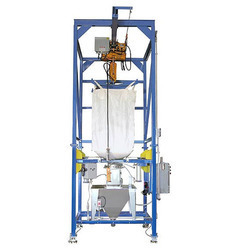 The filling head is designed to accept the material discharged from the storage hopper through a dual flap gate. The material is fed in two modes, i.e., Coarse Feed up to 90 - 95% of the set weight and the balance 5 - 10% shall be fed in Fine Feed mode by which we can achieve optimum control of feeding and thereby improve the system accuracy. When the required set weight is achieved the feeding is stopped. We are offering our valued clients the best Semi Automatic Bag Packaging Machine. 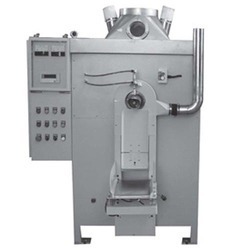 These machines are fabricated by making use of high-grade basic material and latest technology. Engineered to perfection, these machines are in compliance with the defined parameters of the industry.